This winter, in some of North America’s coldest cities, towering castles of ice will rise from the snow-covered ground. These frozen fairytale lands resemble something straight out of Narnia. Icicle-adorned archways greet guests as they enter the winter wonderland of Ice Castles, an awe-inspiring attraction that draws hundreds of thousands of people from across the globe each winter. 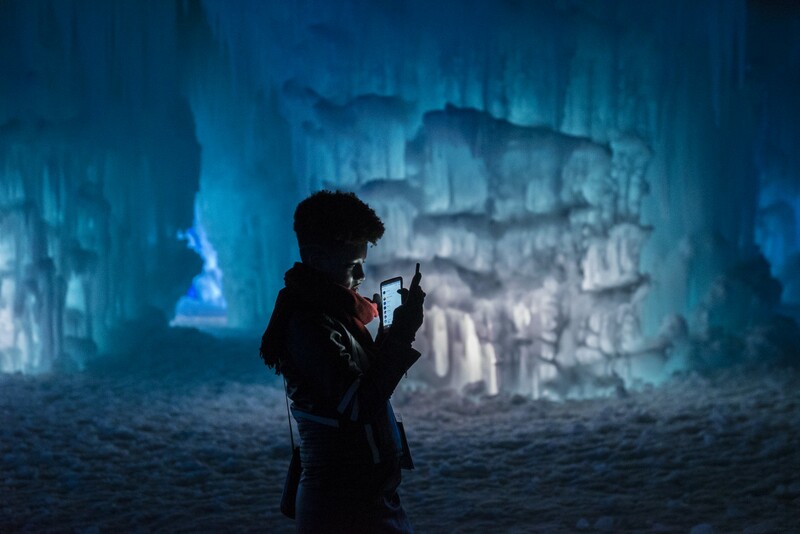 Ice Castles is more than an Instagram-worthy attraction though. It is a true family-friendly winter experience. 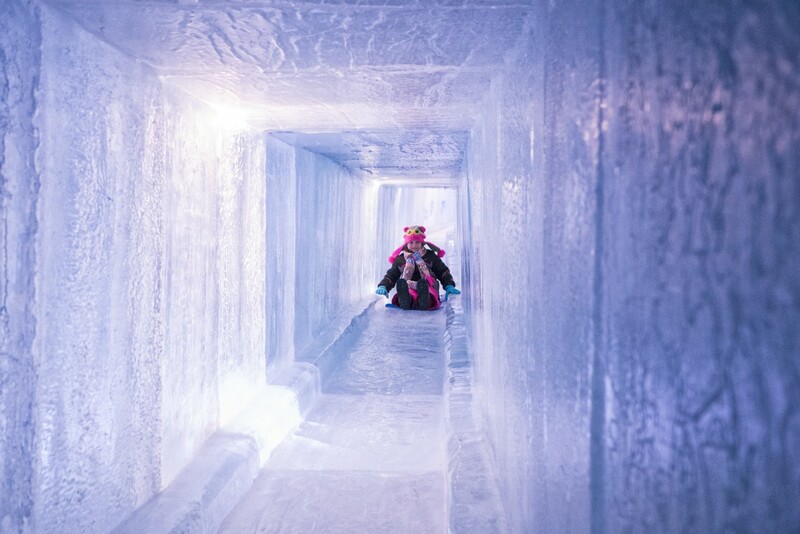 Inside the walls of this frozen fortress, families race down ice-carved slides and children crawl through tunnels and squeeze through a maze of slot canyons. Couples embrace as they pose for a picture perched on an icy throne, and people of all generations gaze in wonderment as fire dancers entertain the crowds inside the wintry walls. 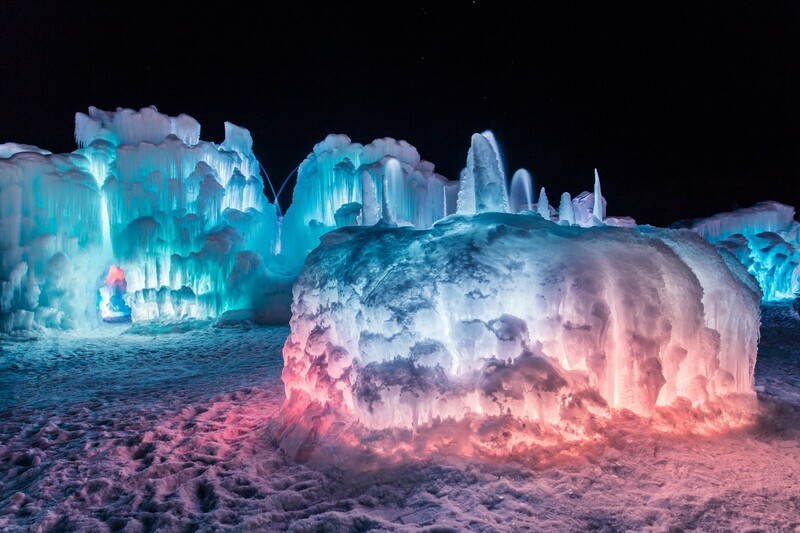 The glacial blue cascades of ice are transformed at night into a brilliant color-changing light display. LED lights embedded inside the 25 million pounds of ice twinkle along to music, as they change from blue to purple to red, white, and even green. While the Ice Castles are breathtaking to experience, the real magic is in their backstory. 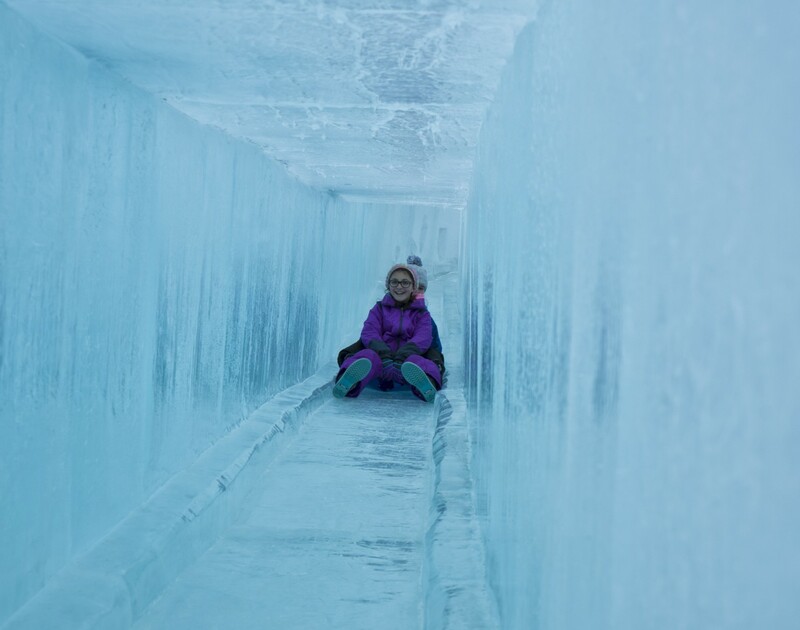 This internationally renowned winter attraction all started as a front yard creation that a loving father made for his children. In 2009, Brent Christensen, a Utah father of six, was looking for ways for his family to enjoy the outdoors together during the brutal winter months. His creative icy display brought out crowds of locals, and within a few years, Ice Castles went from a front yard wonder to an international company with six locations across Canada and the United States. Although Christensen still designs every ice castle, it now takes a team of professional builders to turn his inspiration into reality. Beginning in early December, when temperatures are finally cold enough to sustain construction, a team of ice artisans at each location grow and hand-place more than 10,000 icicles each day. The icicles are drenched in water and the process is repeated over and over again to form columns of ice that reach 40 feet high. Within a matter of weeks, empty fields are transformed into winter playgrounds. 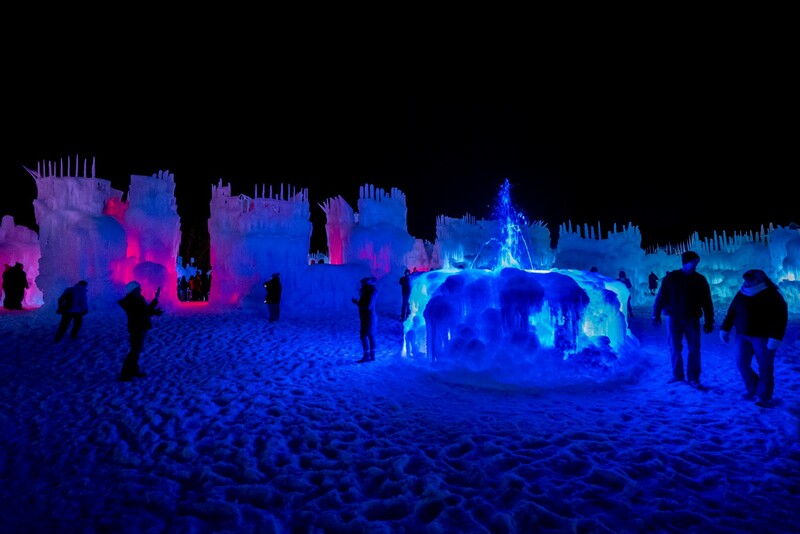 While Ice Castles continues to expand into new cities, Christensen finds the most pleasure in knowing his kingdom of creativity brings smiles to so many faces each winter. 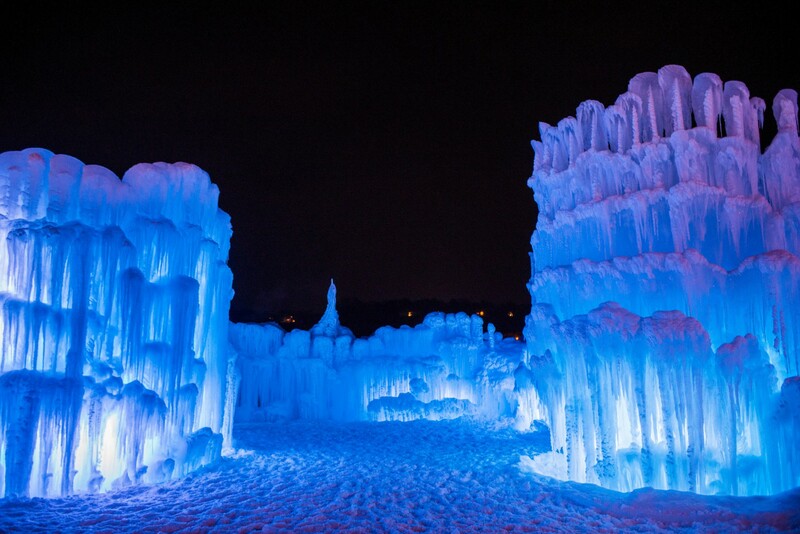 Ice Castles has locations in Midway, Utah; Lake Geneva, Wisconsin; Lincoln, New Hampshire; Stillwater, Minnesota; Dillon, Colorado; and Edmonton, Alberta. Although Mother Nature determines the exact opening dates, Ice Castles traditionally open in late December and close in early March when spring begins to surface.